One of most popular way of killing bed bugs is with the use of insecticides or a pesticide that are especially formulated to affect some of their mechanics and processes that will eventually lead to their deaths. 1. Pyrethoids (Pyrethrin): This type of bed bug pesticide is derived from chrysanthemum flowers that are known for pyrethoids. They are available in spray forms. While they can kill bed bugs that come in contact, others may just repel them, preventing bed bugs from entering an area. Other active ingredients that usually come along with pyrethoids are cylfuthrin, cypermethrin and pyrethrum. 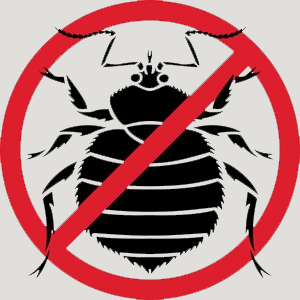 Bed bug killers under this type are relatively safe. They are odorless and leave no residue. They are also biodegradable and will breakdown within lays of exposure to sunlight. They basically work by paralyzing the nerves of both mature and non mature bed bugs. 2. Insect Growth Regulation (IGRs): While insect growth regulators do not have the full capacity to kill bed bugs, they are also useful to prevent them from reproducing. Bed bugs that are exposed to hydropene or the main active ingredient that prevents them from reaching maturity stage will not have the chance to mate and produce eggs. IGRs are available in liquid, solid and aerosol forms. They are fairly safe and will break down in sunlight after days of exposure. 3. Chlorfenapry: This type of bed bug insecticide is among one of the best choices if you are looking for a product that has long residual effects. Brands under this type do not have repellent properties making them kill both bed bugs and their eggs that would come in contact. They are available in liquid and aerosol forms. 4. Diatomaceous Earth: insecticides of this type are made from the fossils of a type of algae. They are harmless to your pets and children. There are forms that are used to treat pools, however they have different effects. Therefore, use diatomaceous earth that is especially made to kill bed bugs. Available in dust forms, it works mechanically. 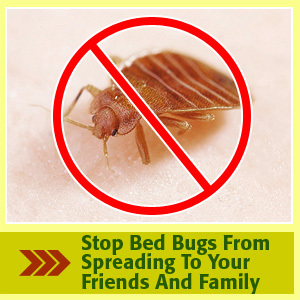 It works by altering and stopping some body processes of bed bugs that will result to death. Despite the different effects of insecticides, there are certain things you should consider. Carefully reading the labels of those insecticides can help you decide which one you would buy. Always consider the safety of your children and pets. You should also determine which brands are good on bed sheets, and which are known to destroy mattress seams and which are seam-friendly. Consult product reviews for more detailed guides, because the chemistry of bed bug insecticide shall not only affect bed bug themselves but also your beddings and of course the health and safety of your children and even your household pets.